The news is filled with the tragedy recently at the high school in Florida. My heart cries for the children and the parents and loved ones of those who were killed and hurt. I pray for our Lord’s comfort for them and that He’ll wrap them in His loving arms and love on them. The other part of the news that flies across the t.v. screen is gun control. I understand the liberals/globalists hidden agenda, if it is actually hidden, of wanting to disarm Americans. What I don’t understand is how can they think that removing a particular gun from society will stop the evil intent of others. Don’t they know, or are they just stupid, that you cannot legislate evil away! More than 3,000 innocent people died by airplanes being flown into buildings on 9-11. Do we then hold Boeing or Lockheed responsible or do we hold the evil within the Muslims that did it responsible? Ford Motor Company, Chevrolet, G.M.C. – all manufacturers of vehicles. Someone gets behind the wheel and drives 70 m.p.h. into a street filled with innocent people killing many and injuring more. Do we hold Ford Motor Company or whatever manufacturer made the car that was driven responsible or do we hold the crazed driver responsible? The other part of the news is now screaming bloody murder blaming the NRA for the killings of innocent children. That’s no different than blaming the airplanes or vehicles! How dumb! Why is the NRA being so viciously attacked when it was the pure and simple evil mind of a man who pulled the trigger? I can’t help but wonder if the liberals/globalists would be satisfied if they can get the AR-15 ban, and then what happens when the next mass shooting is done with a colt 45, a shotgun, a rifle or some other guns? Of course they will want to ban whatever was used and the plot continues to rid innocent people from protecting themselves from those with evil intent. Wake up people, the guns are only dangerous in the wrong hands and the wrong hands would be the government owning them and not the law-abiding citizens. More murders are committed with knives than guns. So we better ban those, too. What about victims that are strangled with bare hands? Do we cut off everyone’s hands? That may seem ridiculous to you, which it is, but no more ridiculous than banning a gun that can be leaned against a wall and harms absolutely no one until someone picks it up and with evil in their mind takes it out and starts killing people. WE CANNOT LEGISLATE EVIL AWAY! The government can pass bills and laws until the ink runs dry and it will NOT stop the people with evil in their heart. Until evil is eradicated from this earth the evil will continue. That will not happen until people’s hearts is changed and we turn back to God and His Son, Jesus Christ. We live in an evil world and innocent people must be able to defend themselves against that evil and the liberals and globalists who want to disarm us. My other prayer is that our government leaders get off the back of the NRA and get on the backs of the murderous hands that are slaughtering millions of innocent babies for profit. If there are any hands to be severed it would be those! Follow Brian’s courageous, heart wrenching, and grace filled story into adulthood after being “dumped” in an orphanage in 1937. 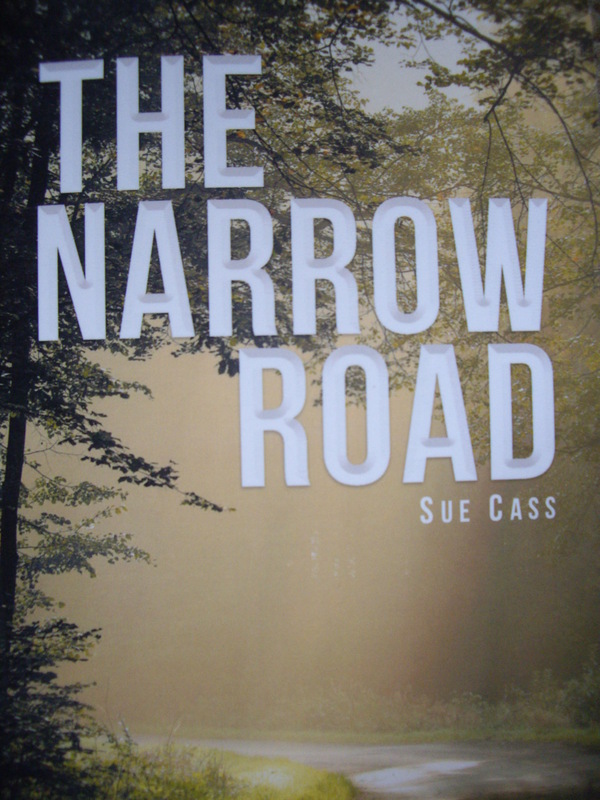 The Narrow Road – True story will soon be released. Please take a moment to read this account of a “still In-Service Oath Keeper” (a police officer) although “off-duty,” he moved toward the gun fire at Marjory Stoneman Douglas High School in Florida last week. There is no shortage of ink describing police brutality, but strangely pens and computers become quiet and ink is nowhere to be found when an incident occurs requiring the response of a “sheep dog” prepared to protect the flock, even if off-duty and not dressed properly. 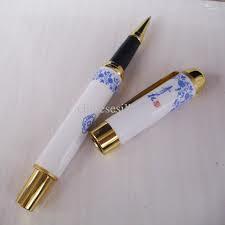 Critics abound, but few are those who will deliberately run toward the mayhem, the gun fire, the potential loss of life. As a Charter Member of Oath Keepers, I am humbled to “know” such heroes. I look forward to the day I meet Sgt. Jeff Heinrich of the Coral Springs Police Department. Thank you, Sgt. Heinrich for demonstrating what it looks like to “Serve and Protect” in a moment’s notice, and without any consideration of recognition or even for your own welfare. The shooting at Marjory Stoneman Douglas High School last week has brought into sharp focus the way warning signs were ignored. Yet, as more details emerge, authorities are having to explain why some armed deputies didn’t confront the shooter. While the sheriff is issuing profuse apologies for his deputies’ actions, another agency is looking exceptionally heroic. A second department responded to the emergency, though. The Coral Springs Police Department arrived at the high school and found the sheriff’s deputies hiding behind their cars. So Coral Springs led the way. As word of this spread, tensions are rising. The day after the shooting, officers from Coral Springs and Broward Country attended a candlelit vigil for victims. “Given the horrific events of that day, emotions were running high and the sheriff and I had a heated moment the following evening,” Goodrum told CNN. That, though, seems to be an effort to calm tensions that are continuing to escalate. Coral Springs Police Chief Tony Pustizzi (above) sent an internal email that expressed his department’s frustrations. “I understand that another agency has given the impression that it had provided the majority of the rescue efforts, and that the tremendous work of the Coral Springs Police and Fire Departments has not been recognized,” he said in the email. Well now the truth is out, and the heroism of the Coral Springs Police deserves to be mentioned. We can now thank Sgt. Jeff Heinrich of the Coral Springs Police Department. Sgt. Heinrich was off duty and unarmed at the time of the shooting. He has close ties to the school, and was actually on campus, watering a baseball field, when the shooting started. Sgt. Heinrich’s wife is an assistant athletic director at the school. His son is a student. Sgt. Heinrich was wearing shorts and a t-shirt, and was unarmed. When the fire alarm went off, he didn’t think it was unusual. The panic that ensued changed his mind. When he heard shots, he ran toward the sound of the gunfire. On his way to the school, he found a student who had been shot in the leg. Sgt. Heinrich moved the boy to a dugout and stabilized him with supplies in the baseball team’s first-aid kit. He then ran back to the school. There, he met a Coral Springs SWAT team member who had extra gear. Sgt. Heinrich threw on an extra vest (one that wasn’t rated to stop rifle fire). The SWAT officer handed over his sidearm so Sgt. Heinrich wouldn’t be unarmed, and they entered the building. Sgt. Heinrich ran into the chaos. He didn’t wait outside. The officers from Coral Springs led the way. Behind them, paramedics were able to triage and treat the wounded. The SWAT medics from Coral Springs provided crucial support. The Broward County Sheriff’s Department went in after Coral Springs. This isn’t an attempt to minimize the contributions of those deputies, but to celebrate the heroism of those that took the lead. Here’s the video of Sgt. Heinrich talking through his actions. It takes him a while to regain his composure. I have told the truth but yet I have been chastised and condemned. I’ve been told I’m a “lousy Christian,” “you don’t represent true Christians,” and a “flat-out liar,” because I wrote that we as humans do not become angels when we leave this earth. I was shocked! It still amazes me that so many Christians are ignorant as to this truth. Not just Christians, either. Many believe the lies Satan has put out there. “Those that fear Him.” Every Christian has an angel assigned to him or her and we like to think it’s a beautiful angel with flowing silky hair, satin wings, etc. 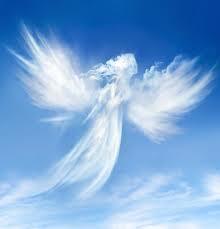 And it’s wonderful to imagine our loved one that has died is now suddenly a beautiful angel. This little ceramic angel has been created by some talented person. It’s purpose is determined by its creator. That is the same as with God. He is the Almighty Creator of all things and He had a purpose for creating angels. He made them not only as His messenger but holy, (Mk. 8:38) and they never die like we do. He created humans also with the same purpose. He wants us to be holy and to be His messenger of the gospel throughout the world. We have the choice to be holy or not to be; to believe in Him, through His Son Jesus Christ, or not to believe. Many state they believe in God, well so does Satan! 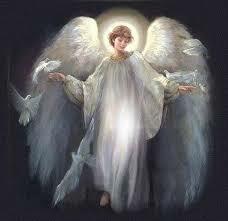 God had a purpose for creating His angels and for creating every human being; to serve and glorify Him! As Christians we do not die, we just leave our earthly body behind. “nor can they die anymore, for they are equal to the angels and are sons of God being sons of the resurrection.” Lk. 20:36 (emphasis mine) DID YOU CATCH THAT? EQUAL TO THE ANGELS, NOT TRANSFORMED INTO ANGELS BUT EQUAL TO. Jesus is not an angel!!!! Once we enter heaven we will judge the angels. “Do you not know that we shall judge angels?…” 1Cor. 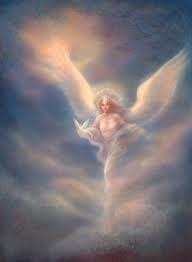 6:3 If we become an angel when we die then we would not be above the angels. 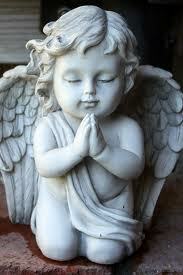 Right now we are below the angels, they watch over us. (The Olive) After the recent Florida school shooting there has of course been the inevitable cry once again to ban the AR-15, it’s a dangerous assault rifle you know. Actually, that could not be more untrue – the AR-15 is not an assault rifle nor is it a high-powered rifle, it’s not even a fully automatic rifle, which is the impression you get listening to some of the fools in the media who have no idea what they are talking about. When was the last time you heard a call to ban the 22 Rifle? Never happened right? 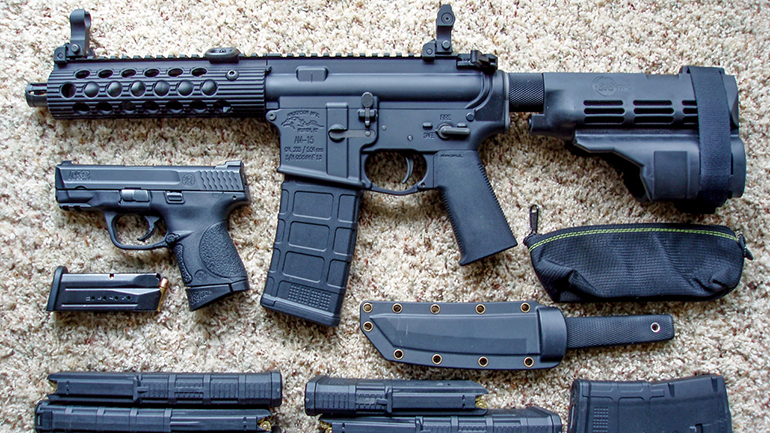 The AR-15 is basically a .22 caliber semi-automatic rifle. Yes it can fire other rounds such as the 5.56 NATO – which is basically a .22 bullet with a little more gunpowder behind it. If we are going to ban the AR-15, we will need to ban the .22 rifle and the .223 rifle as well, after all they are all 22s. The media engineered frenzy over the AR-15 is completely ridiculous. It is a simple rifle many use for target practice given it’s high accuracy and even home defense – oh yeah, and it looks cool too. With the recent Florida school shooting and the Las Vegas massacre before that – and given the fact that so many (mainly Leftist gun grabbers) are clamoring for gun control, President Trump has ordered the Justice Department to initiate the banning of “bump stocks”. Bump stocks are another misunderstood piece of equipment thanks in large part to the media’s exaggerations and outright lies. The media, and I even heard Fox News inaccurately report this today – say that bump stocks allow a semi-automatic rifle to fire as a fully automatic weapon like a machine gun or an M-16. This is not true, bump stocks allow much faster firing of a semi-automatic rifle, but the rifle is not full on automatic. The problem with banning bump stocks is they can easily be made at home cheaply. A simple Google search – “can I make my own bump stock” yields over 10 million results, a bump stock can even be made using a 3D printer! Are the police going to be sent into every home in America to check if anyone has made their own bump stock? The real problem we face with the mass shootings in this country has absolutely nothing to do with guns, and everything to do with people. Guns have been in this country for a long time, everybody and their brother has a gun. However, twenty years ago, there were not many if any mass shootings. What changed, the guns or we the people? Unless you are an idiot, you know the answer to this question. Make all the gun control laws you want, it’s not going to fix the problem of mass shootings and increased violence until the real underlying problems are addressed. The outright banning of guns – which is what the Leftist Liberal fools are after BTW, will accomplish nothing. Oh wait, I’m wrong, it willaccomplish something. Banning guns in America (like Australia did) will hand over power to the criminals. It will also enable the government (whom will still possess guns) to control the people. If a criminal knows that no one is allowed to have weapons any longer, then EVERY American has a target painted on their back. Illegal or not, the criminal element WILL get guns, if you disagree, you are a fool. I have the perfect example for you, America’s schools. K-12 schools are mandated “gun free zones” – this is the most ignorant policy ever devised. Our children and the teachers and other staff are sitting ducks for anyone who decides to waltz in the door with weapons in hand. Just check out the Florida school shooting if you doubt that. Schools and everyone in them have a huge target painted on their backs that effectively screams – shoot me, I can’t stop you! In our schools, we need to immediately end this “gun free zone” idiocy. Armed guards and possibly armed teachers along with the installation of metal detectors would pretty much end the mass shooting problem. But you will say, people don’t like exposing their kids to metal detectors and armed staff – well would you rather expose them to their friends being shot to death? Metal detectors are in airports, many government buildings etc., why not schools? How much is your child’s life worth? The main problem in America with all the shootings and violence is this: parenting. Yes I said parenting. Not all parents obviously, but a great many. Through the various jobs I have done over the years, I have been in many homes, many, many, many, homes. The things I have seen are utterly appalling. When I was growing up, mass shootings were unheard of, why is that? Parenting. Lets look at the differences here. Years ago, parents actually parented! Parents knew what their kids were doing, where they were, and who their friends were. Parents searched their children’s rooms if need be, too bad if we did not like it. There was discipline when we did wrong, we were afraid to come home from school after screwing up, because we knew we were in trouble. Parents worked with the teachers, not telling them to F off. Today it’s a whole different ball game. What passes for parenting in many households is an extremely bad joke, and this so-called parenting is harming the children who have no idea how to function in society while at the same time having no idea what it is like to feel loved and cared for. If parents today actually parented, and God was an important fixture in the life of today’s kids, most of these problems would evaporate. What are the Common Problems in Parenting Today? As I said, I have personally seen a lot of what goes on in today’s homes; I have as well worked with problem teens. A common factor is lack of parenting and if the kids/young adults are honest, they feel a distinct lack of love from their parents. When parents use the Internet, TV, movies, and video games as the preferred method to entertain and occupy their children, well bad things come of that. Parents don’t spend time with their kids; instead they buy them video games, videos, the Internet, and have no idea what their children are really doing. They allow their kids to watch violent movies, play very violent video games, (after all, it’s only a game right?) let them come and go as they please, have no idea who their friends are, and basically have no clue how their own children spend their time. When there are the inevitable problems in school, parents scream and curse at the teachers and blame them for their child’s poor behavior! I want you to take the time to read this rant posted on Facebook that a Florida school teacher made, it is so spot-on that every teacher, every politician, everyone who works with kids, and every parent should be required to read it, no kidding. It will only take a minute of your time. Florida schoolteacher’s epic (and true) rant on the reason for mass shootings etc. Until everyone in this country understands that strong, loving parenting, the value of a strong family, and the reverence of God is what is needed – nothing is going to change. All the laws, all the rules, all the punishment, and all the empty headed talking heads – will make no difference at all. None of what is being done today has worked yet has it? What makes anyone think the same course of action is going to work tomorrow? “He who loves you see’s the light within you, whether you do or not. As is the sun, it burns brightly, it does not dim but only seems to move to other areas, which is only your perception. It is merely covered by clouds, yet its brilliance can still be seen by those who do not have clouds hindering sight. It warms the world, be it an inner world, or the physical world. It does not dim for the brilliance is that of God Almighty.